The columnist was South Africa’s most stellar and searingly funny social commentator, until a plagiarism scandal caused his spectacular fall from grace (and newspaper pages). But with his endearing, thigh-slappingly funny coming-of-age memoir, the bad boy has done good. I first became aware of Darryl Bristow-Bovey in the late 1990s, when I was a university student, he was in his twenties and the South African media was struggling to keep up with the nation’s democratic transition. In-between the rebranded SABC 1, 2 and 3 shows and daily Oprah show episodes, you still had to suffer through talk shows with older white male presenters who spoke in those ‘radio broadcast’ voices and were beginning to feel somewhat stale. One night, one such presenter (whose smugness just irked me, I forget his name) introduced his show’s guest by first pointing at a bowl of Brussel sprouts set out on the set’s shiny coffee-table. 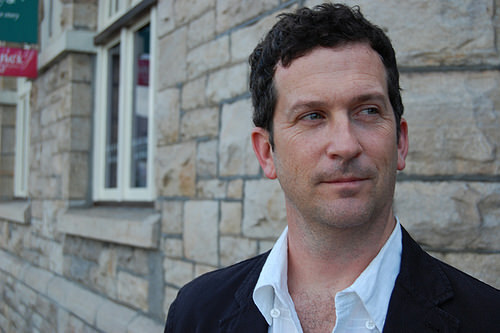 Apparently, the young guest − one Darryl Bristow-Bovey − had dared to compare the host to a Brussel sprout. Having him on air was the host’s attempt to show the lad just who was boss. Gradually, after years of self-flagellation, his name (and super-smart words) began appearing in print again. He had also been working on a memoir, which was released a few months ago. 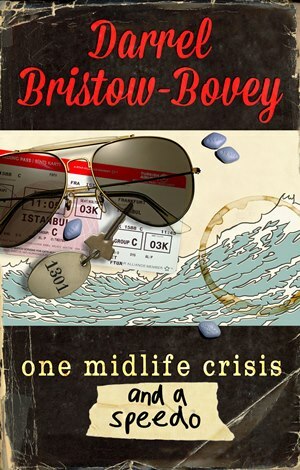 One Midlife Crisis and A Speedo (Penguin RandomHouse) is about approaching the big Four-Oh, and how Bristow-Bovey decided to follow a bucket-list dream of swimming across the Dardanelles in Turkey. I loved the book, for its hilarity (as Michele Magwood, contributing books editor of the SA Sunday Times said, it’s one you want to read next to someone else, “so you can read out the funny bits”), its honesty, its charming (and cringe-worthy) self-deprecation, and for the ‘heart stuff’ (it is, also, somewhat of a love story). Below is a section (p54-55) where Bristow-Bovey talks on the Tim Noakes ‘Banting’ diet that has become the subject of dinner-table talk ad nauseam in South Africa over the last couple years. Enjoy! “The first thing you notice about the Tim Noakes diet is how interesting it is to talk about it. Actually, that’s not true. The very first thing you notice is it’s not at all interesting to talk about, but that’s only when you’re not on the diet yourself. “When you’re the one living your life as a normal human being, peaceably eating as your forefathers did and their forefathers before them, you might have a reasonable tolerance for chit-chat about what other people are eating. You might even ask a polite question or two of your own. “But after a while it becomes irritating to have people constantly volunteering to tell you how much energy they have and how bloated they aren’t. I never realised how bloated everyone was before they all started telling me they aren’t anymore. First you roll your eyes, then you start avoiding everyone who has recently lost a suspicious amount of weight. “But then you start it yourself and you realise you were wrong. No, it’s not boring to talk about what you’re eating. In fact it’s fascinating, because there’s so much science in it, you see. The science is the best part. Hoo boy, who knew I loved science so much? One Midlife Crisis and A Speedo is available via Amazon and Exclusive Books.